Hello and Happy Tuesday! What a day I had on Monday! I went to work like any other Monday and around 10am I got a text from my son that they were having their baby today rather than next week as planned. Apparently Ashleigh had been in labor all night and by the time she got to the hospital she was already dialated to about 7cm. They had planned a C-Section for next Monday but Baby Beckett decided he was ready to meet the family! My son was so happy and proud of his HUGE son. Beckett weighed in a 10 lbs 3 oz and was 21" long! He is one proud Daddy!! 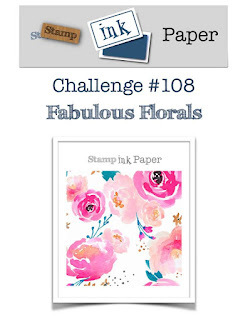 So since today is Tuesday, that of course means it's time for another Stamp, Ink, Paper Challenge! This week's theme is Fabulous Florals! How cool is that?? I decided to use my July 2017 My Monthly Hero Kit from Hero Arts and decided to go Clean and Simple with this one! 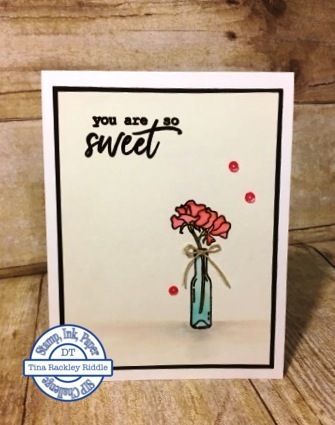 I used my favorite coloring method.. Distress Inks applied with an Aqua Painter onto Bristol Smooth Cardstock. You can't get much more simple than that. My card base was 110# Neenah Classic Crest Solar White Cardstock. I added a 3 3/4" x 5" layer of Black Cardstock and my watercolored layer of Bristol Smooth that measured 3 5/8" x 4 7/8". I heat embossed both the floral image and the sentiment in black. Embossing really helps me to stay within the lines with my watercoloring! I added three Pretty Pink Posh Watermelon 4mm sequins and a small little natural thread bow to finish this one off. Congratulations to the new grandma and mom and dad. That story reminds me of my own story 37 years ago when I delivered my 11 lb. 4 oz. 22 inches long baby. It was my second and I too slept through most of my labor. 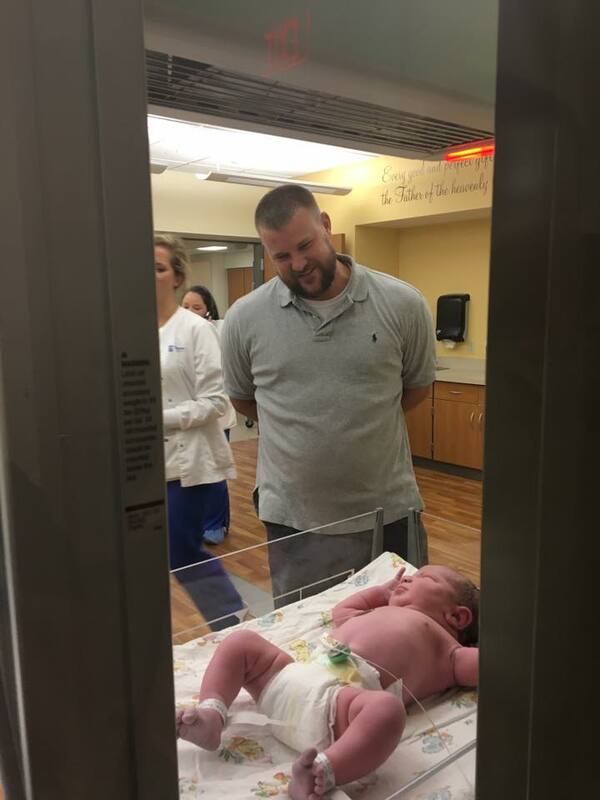 my son was born within an hour of arrival to the hospital. Best wishes to the new family. SIP #109 Sketch Challenge with FSJ Got You!